The Parents Across America 2014 Leadership Conference was an exciting, productive meeting. 20 of PAA’s chapter and affiliate leaders from 13 states all over the U.S. attended, discussed the issues, and offered their ideas for PAA action for the coming year. 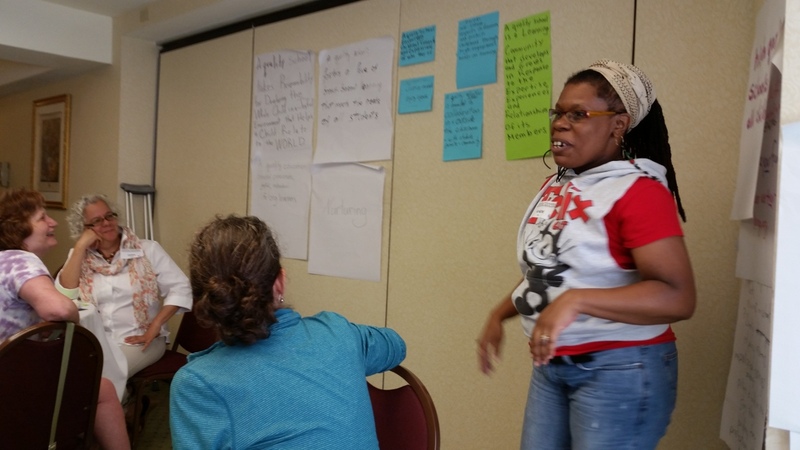 PAA leaders from across the U.S. Early arrivals to the conference were able to spend most of the day Monday meeting with Congressmen and Senators on Capitol Hill, including some of their own representatives and members of the House and Senate education committees. Congress should begin that project with comprehensive hearings that examine the experiences of students, parents and teachers, as well as the findings of education scholars. Congress should hold hearings on student privacy. Congress should listen to parents and promote increased resources to all of our schools, a stronger parent voice in education policy, smaller class sizes, pre-K and full-day Kindergarten, experienced, supported teachers, a well-rounded curriculum, and evaluation systems that go beyond test scores. We met with opposition in some cases and in others we simply got “Thank you for your input,” but some Members were receptive of our ideas. We will continue to reach out to Congress and build on these meetings to strengthen our voices. We were very enthusiastic (and somewhat envious) of an issue notebook that members of our new Massachusetts affiliate, QUEST, had put together for their local legislators. There was a lot of interest in PAA doing something similar for our members to share with Congress.Tuesday morning, those who made Capitol Hill visits reported on the response of our elected officials to these issues. 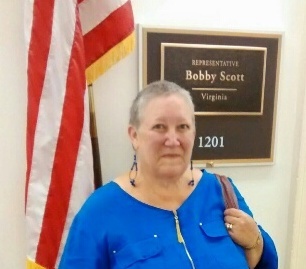 PAA co-founder Julie Woestehoff visits Congressman Bobby Scott’s office. We spent some time reviewing our mission statement. While there was not a feeling that we need to change the statement significantly, a small group of members will work on a few tweaks based on feedback from this session. We may also plan a webinar on messaging. PAA leaders Deb Mayer, Lisa Fluke and Danielle Arnold-Schwartz prepared a session on “What is a Quality Education?” Deb led this interactive workshop which resulted in a lot of good table discussion and good ideas. A small group of PAAers will take those ideas and begin work on a PAA position paper on quality education. Leader of PAA-Greensboro chapter Khem Irby posts some of the group’s ideas about Quality Education. 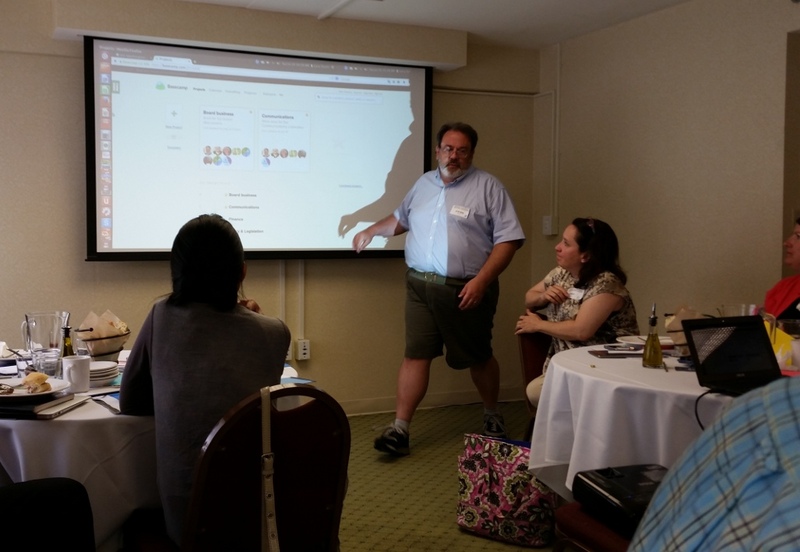 PAA Board of Directors member Steve Norton spent some time walking us through BaseCamp, a program we have started using for Board and committee communication (photo below). After lunch, we participated in a session Leby Kirwan Institute facilitators Jason Reece and Kwame Christian, who helped us take a deeper look at the racial, ethnic, and cultural dynamics in education reform policy discussions. It was a great but exhausting day!